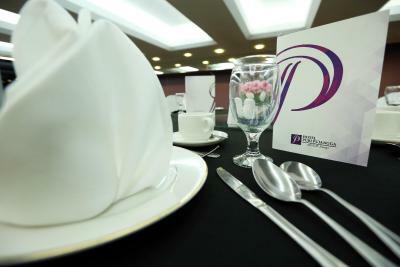 House keeping, restaurant and overall ambience. Wi-fi is excellent. The staff is okay. I mean entertain all my request. Ideal for someone who has something to do in universiti Kebangsaan Malaysia. 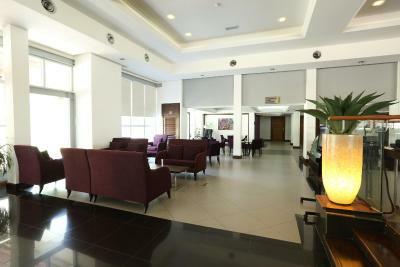 Great location on campus, charming hotel with a welcoming athmosphere. Restaurant staff is supernice except for the manager. Very comfy beds, pillows. Had a great sleep there always. Great vacation and, stayed.... Will come again and very recommended..
Good place for me as i was sending my daughter for registration at ukm. Clean room and peaceful surrounding. Front desk was good n quick to respond to my problem, she upgraded my rooms even without my request. Thumbs up for d lady. It's location. Near to the place where I need to be. 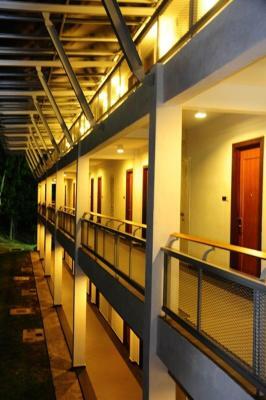 Puri Pujangga Hotel This rating is a reflection of how the property compares to the industry standard when it comes to price, facilities and services available. It's based on a self-evaluation by the property. Use this rating to help choose your stay! 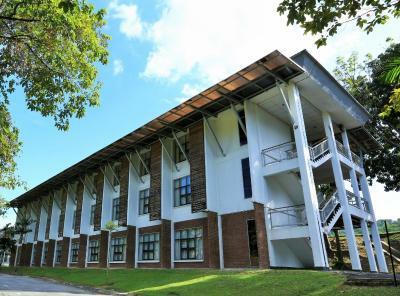 Conveniently located in the National University of Malaysia, just a 15-minute drive from Putrajaya, Puri Pujangga Hotel provides spacious rooms with private balconies and views of the garden. 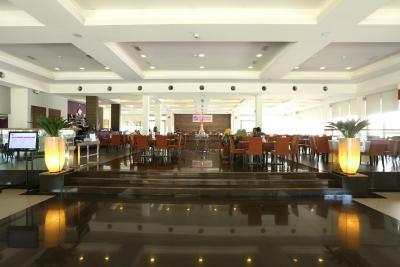 It has a coffee house and free Wi-Fi in the entire property. 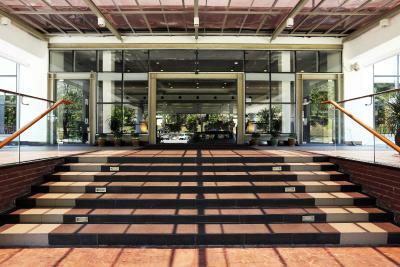 The hotel is a 35-minute drive from the Kuala Lumpur International Airport and 15 minutes from the Alamanda Shopping Center. Parking is available, free of charge, on site. 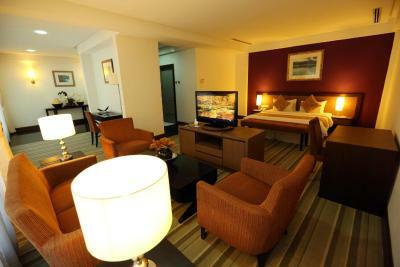 The air-conditioned rooms are well equipped with satellite TV and an private bathroom. A hairdryer and ironing facilities are provided on request. 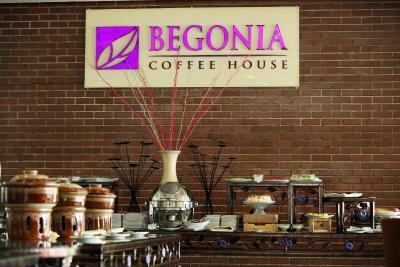 Guests can enjoy Malay, Thai and Western food at the all-day dining Begonia Coffee House. Room service is also available. 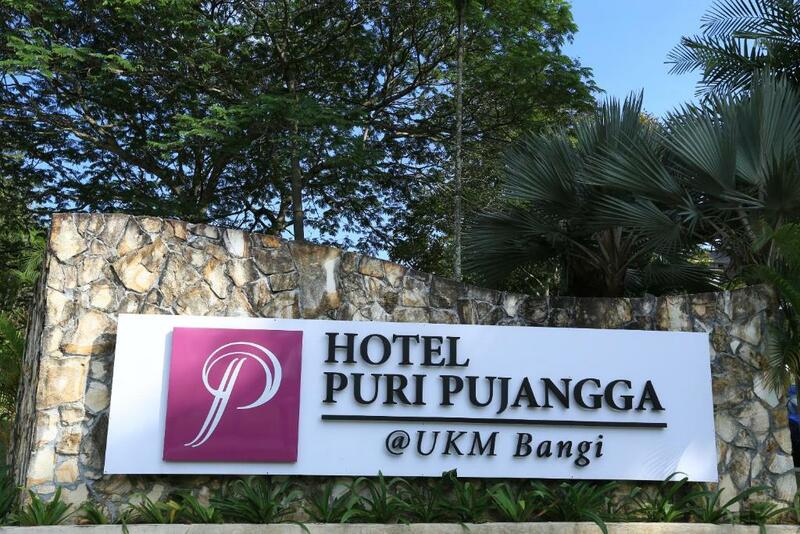 When would you like to stay at Puri Pujangga Hotel? Air-conditioned rooms with satellite TV and an private bathroom. A hairdryer and ironing facilities are provided on request. House Rules Puri Pujangga Hotel takes special requests – add in the next step! One older child or adult is charged MYR 63.80 per person per night in an extra bed. Puri Pujangga Hotel accepts these cards and reserves the right to temporarily hold an amount prior to arrival. AC is not under your control. There is a gap below the door. In ground floor rooms this is dangerous. The room was not really clean. Dusty sticky benches,side tables, bathroom, stains on bedsheet. I was wondering for a moment whether I accidentally got in a room where someone else might be staying. Check-in process rather slow. Having worked in many hotels myself I know this should be much faster, but they just 'take their time', they have plenty of time it seems. Restaurant manager is extremely annoying. I had very nice staff coming to me, I ordered cake from them. Then their manager seemed to push them so I would order more food. I told them no. Then the manager came to me making a comment why I am not eating more... Until I got fed up and ordered a meal because he made me feel very bad. I can see how bossy he is around,and given that there are not many customers,he just annoys thosee few trying to enjoy a soup, cake, coffee. His staff was perfect until he arrived in the restaurant. I made sure not to eat in the hotel anymore, but it is a shame,but I never felt comfortable there. Spacious room n housekeeper doing very well. none. even the staff were not friendly. Maintenance need to be improve. Lights in the toilet are too dim. Toilet wasn’t properly clean when we first came in. The shower is terrible. Very low water pressure and noisy.